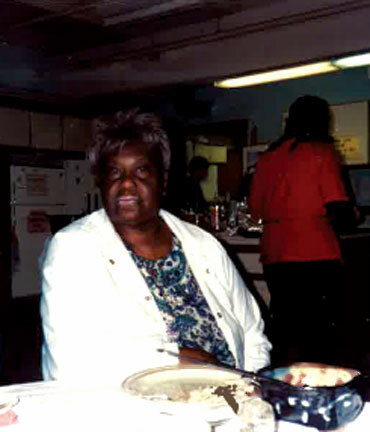 Gayle had found housing at Rose House at the time of her death. Before that she was a resident of Noel House. She was beloved in many places. Gayle was run over and killed at the corner of 2nd and Bell, in front of Noel House, while waiting for the traffic light. Gayle’s leaf is placed at Noel House. 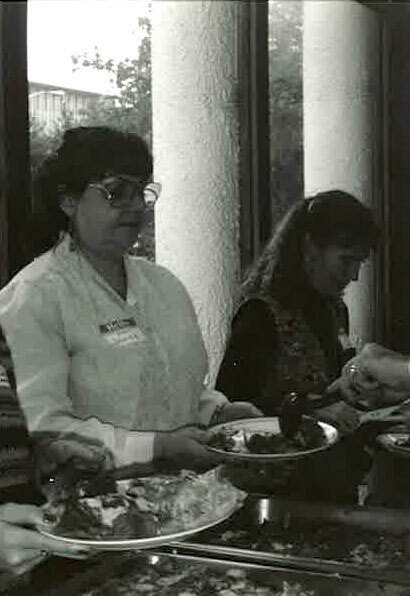 Brandi was a member of Mary’s Place, Matt Talbot Center, and Angelines, and she had many friends at Noel House. She was loved by many people. Jackie Ortega (left) with friend Queenie (right). Jackie was well loved. She had housing at the time that she died, and was still active at Mary’s Place. A Women in Black vigil was dedicated to her memory. Cynthia Lee Ozimek was born the daughter of an opera singer and sculptor turned steel worker on May 13, 1960. Raised in Pittsburgh, Pennsylvania, she attended college at St. Petersburg Jr. College in Tarpon Springs Florida and lived in both the state of Georgia and Arizona before moving to Seattle in the early 1990s. Despite suffering the ramifications of homelessness in the literal sense, Cynthia has found great joy, solace and belonging in the community of women where she has resided, on and off, for the past several years. To this end, she has made it her mission, through the written and spoken word, to advocate on behalf of those individuals in Seattle homeless women’s community who, for whatever reason, have found themselves on the outskirts of the society in which they reside. Cynthia believes that each one of God’s children has, within themselves, the power to positively affect the world in any number of ways. Her biggest dream is to publish a book of essays, vignettes and stories on the women with whom she communes each day. Cassie Phillips was active in the founding of Nickelsville, in WHEEL homeless women’s organizing effort, and in Real Change street newspaper. In addition to selling the Real Change, she was a member of the Real Change Editorial Committee and part of the Real Change Homeless Speaker’s Bureau. She made jewelry, crocheted and read tarot cards, and she was a published poet. Many people greatly miss her. Cassie got a room at Jubilee Women’s Center just a few weeks before her death. Her leaf is placed at Noel House. Rosetta was a dignified lady, with a great sense of humor. She was a longterm member of Noel House. Rosetta died at the shelter in spring 1994. Hers was the first death at the shelter. Rosetta’s leaf is placed at Bakhita Gardens/Noel House. If you have memories of Rosetta, please post in the comments.